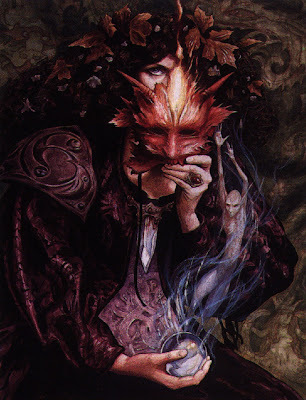 Brian Froud (born 1947 in Winchester) is an English fantasy illustrator. He lives and works inDevon with his wife, Wendy Froud, who is also a fantasy artist. The landscapes in his paintings are frequently inspired by Dartmoor. His work has been used as the inspiration for creatures in films such as The Dark Crystal and Labyrinth (both in conjunction with Jim Henson's Creature Shop). He collaborated with Terry Jones, who was a screenwriter on Labyrinth, on The Goblins of the Labyrinth (1986, re-issued in abridged form as The Goblin Companion: A Field Guide to Goblins in 1996), and subsequently on a number of non-Labyrinth-related books about fairies and goblins, namely of the "Lady Cottington" series, such as Lady Cottington's Pressed Fairy Book. He has also worked with American writer Ari Berk on more recent books, including Goblins and "The Runes of Elfland", and produced art books such as Good Faeries/Bad Faeries. One of his most famous art books, Faeries, produced in collaboration with Alan Lee, was the basis of a 1981 animated feature of the same name. 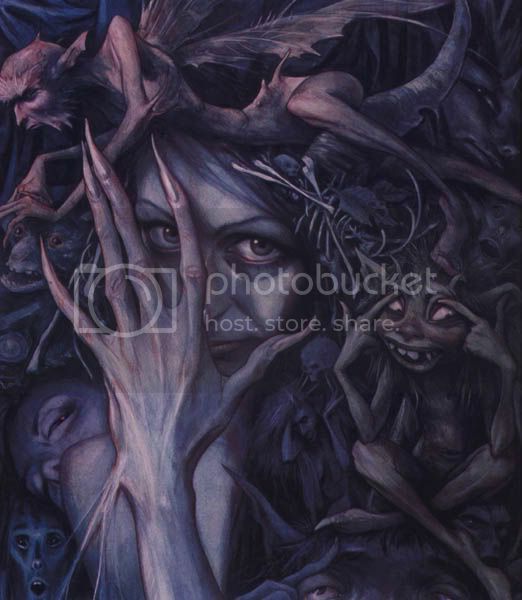 Froud has also dabbled in other media and created a deck of Oracle cards entitled "The Faerie's Oracle" with Jessica Macbeth, based on his artwork in Good Faeries/Bad Faeries. In March 2010 a sequel to the deck, "Heart of Faerie" was released. He also designed the album artwork for the German band Qntal's 2006 release Qntal V: Silver Swan. The enhanced 2CD version of the album also featured a second CD featuring a short gallery of his fairy and goblin work. 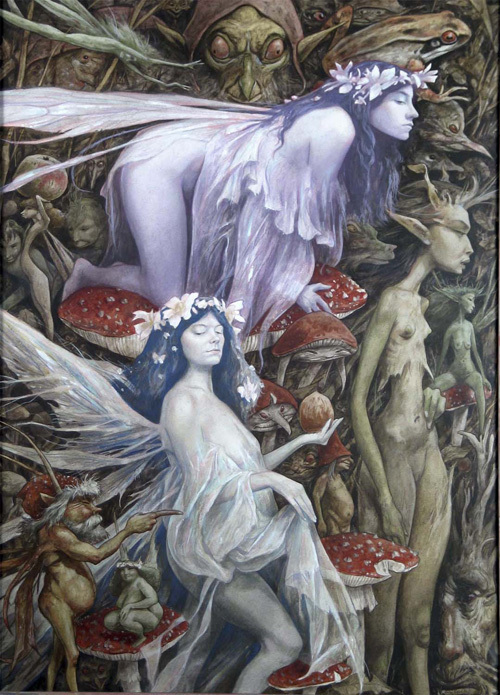 Froud also produced a collaborative series of books collectively known as Brian Froud's Faerielands. 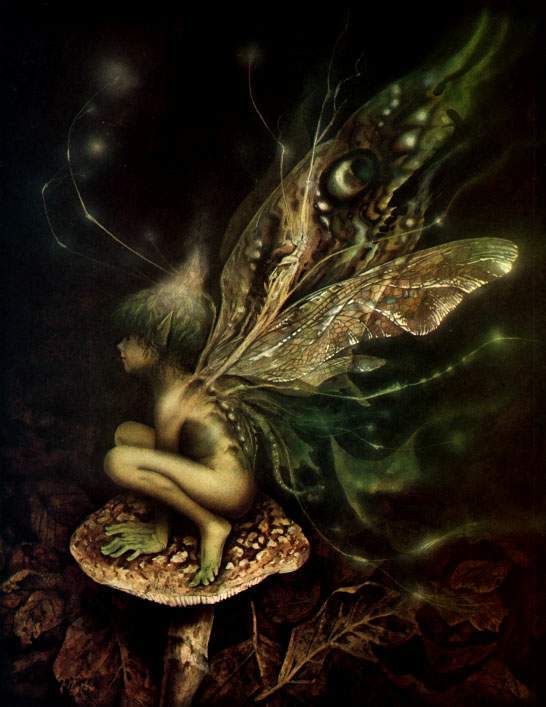 He produced the Faerielands artwork in 1991, then invited four top fantasy authors (Patricia McKillip, Terri Windling, Midori Snyder, and Charles de Lint) to choose their favorite pieces and write the story that the pictures evoked for them. The first two books were published in elegant hardcover editions with numerous Froud illustrations. However, Bantam then cancelled the series due to changes in their fantasy and science fiction lineup. Windling's and Snyder's books were later published by Tor Books and Viking Press respectively. Froud's son, Toby Froud, played the baby in Labyrinth, one of his father's works. Toby Froud is currently studying filmmaking and special effects techniques in London. He is also apprenticed at the Muppet workshop in New York City, and on the set of The Lord of the Rings films in New Zealand, in addition to working as a stilt-walker with a troupe in England.